Perhaps it’s something to do with my grey hair, but I don’t often read Young Adult books. 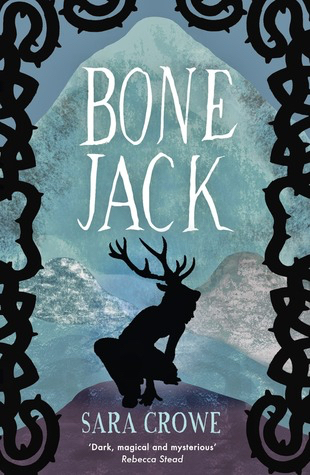 I started Bone Jack out of curiosity, intrigued by a tale about ancient, rural traditions that have their roots in a pagan past. Within a page I was reading for pleasure. The opening is masterful; a boy willingly teetering on a cliff edge, held from falling only by the uncertain push of the wind. From that point on you know you’re in the hands of a great storyteller. Central to the book is an annual ‘stag run’ in wild, mountainous country, a slice of local folklore which pits a young man, the ‘stag’, to outrun the pursuing ‘hounds’. The protagonist, 15-year old Ash, is to be the stag, and Crowe builds the tension steadily so you know he’s going to be running for his life. The setting of a drought- and disease-ravaged countryside is well crafted, and even the supporting characters are finely drawn. Ash has to contend with plausible human relationship issues such as a war-damaged father and a best friend who goes off the rails in the aftermath of tragedy. He also has to face Bone Jack, a shadowy figure who may be a hermit, or perhaps something much more sinister. Such supernatural elements are introduced progressively and subtly, and in a way that tightens the pace towards a climax that is as fulfils the promise of the first pages. Above all, Bone Jack is extremely well written. Some passages I found myself re-reading purely for the pleasure of the prose. A stunning debut and highly recommended. Absolutely agree with your words of praise for this book. Bone Jack is a wonderful novel. I definitely agree! I enjoyed the story so much that I knocked it out in one sitting! I agree too, it’s a wonderful book, loved the themes and the atmosphere. Next Next post: Après Charlie?